HOW DO WE DEFINE AND DESIGN THE WORLD'S FIRST MUSEUM OF BIODIVERSITY? An era of renewed global significance was on the horizon for the Republic of Panama, so it turned to Frank Gehry to reposition the country in the eyes of the world with a high-impact structure like his Guggenheim Museum for Bilbao. Frank turned to his long-time friend and colleague Bruce Mau, and together they gave Panama a spectacularly colorful museum as well as worldwide environmental leadership. Frank and Bruce envisioned something new for the world and uniquely true to Panama – The Biodiversity Museum: Panama Bridge of Life. The connection point of the Americas – the unique biological diversity of the isthmus itself – would be the museum, and the architectural icon commanding the Panama City waterfront would be its front door. A tour de force of design thinking that defined an important new category, and exemplified one of the 24 methodologies of Massive Change: We are not separate from or above nature. Bruce designed the museum's mandate and defined the program for its galleries and exhibits as well as their content, with insight from the Smithsonian Tropical Research Institute. “Architecture is at its best when the story is designed first. The story then leads to an architecture informed by content,” Bruce says, as indeed his Panama collaboration with Gehry Partners showed in the creation of a totally different kind of museum experience. The chaos of crashing tectonic plates and the stampede of first traffic between the separately evolved species of North and South America are the tactile encounters of The Bridge section experience. 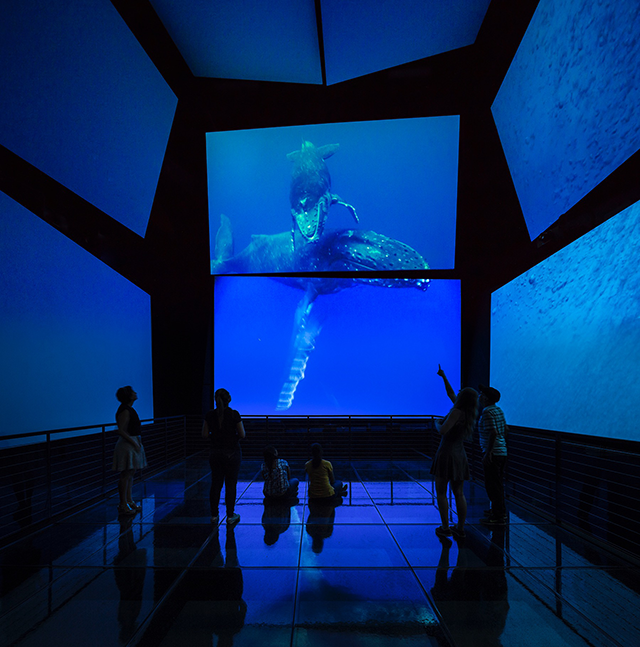 The six-sided video of the Panamarama section transports visitors into experiential learning as the room virtually flies through the country’s diversity of air, land and sea life. The BioMuseo is a case study in seamless content and form, with design solutions being developed simultaneously that would never be conceived at the end of the process. As experts in what we don’t know, we invented the category – putting Panama on the map for the world to follow.